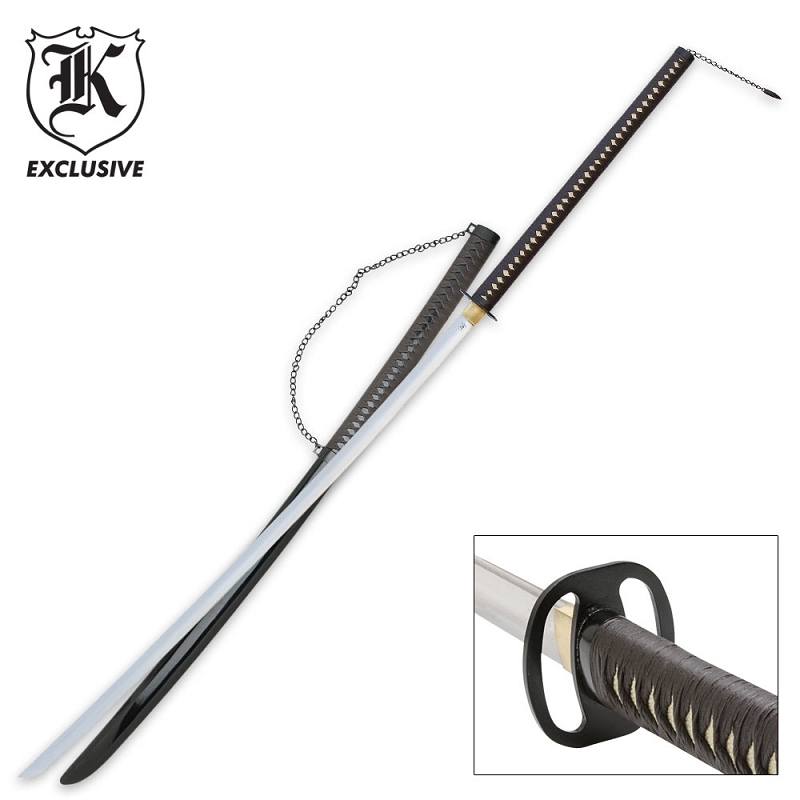 This massive sword is an outstanding example of the odachi. The odachi was used on early Japanese battlefields, but its size soon relegated it to use as an army’s standard or as an offering to the gods. Stretching 69" long with a hand forged 45" carbon steel blade. The leather wrapped hardwood handle offers a 4" diameter blackened steel guard. The wood scabbard is painted dark brown with a high gloss finish. This is a superb item, and one you’ll definitely want to add to your collection!